NS and I both love Vietnamese spring roll, we always order one serving of spring roll whenever we dine in our favorite Vietnamese restaurant. We also almost always fight for the last bit of the dipping sauce. (Not so mature, I know.) . Since we liked it so much I decided to clone this sauce at home. 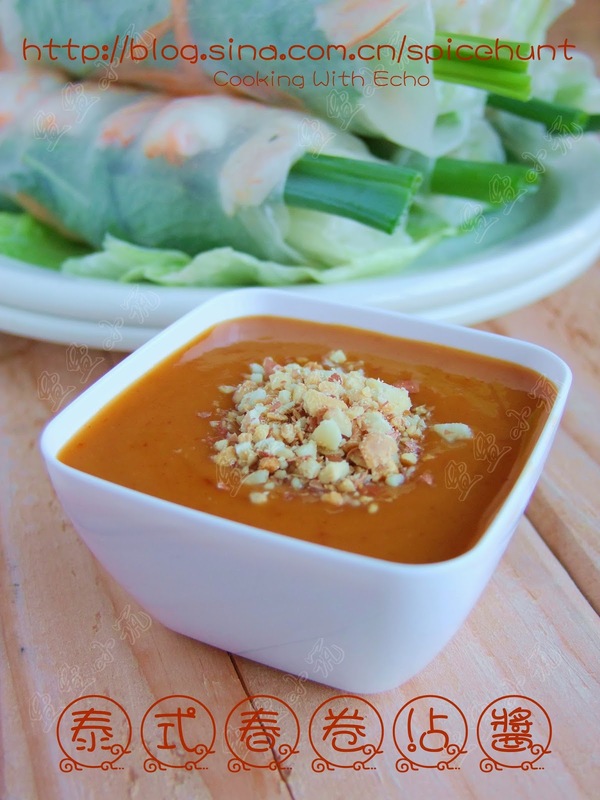 The sauce our favorite Vietnamese restaurant served is slightly different than the others that we have tasted, it has very prominent taste and fragrant of peanut, creamier in texture too. I based mine on the Thai version of spring roll dipping sauce as I prefer having a hint of coconut flavor in my sauce. Here is my version of spring roll dipping sauce. 1. 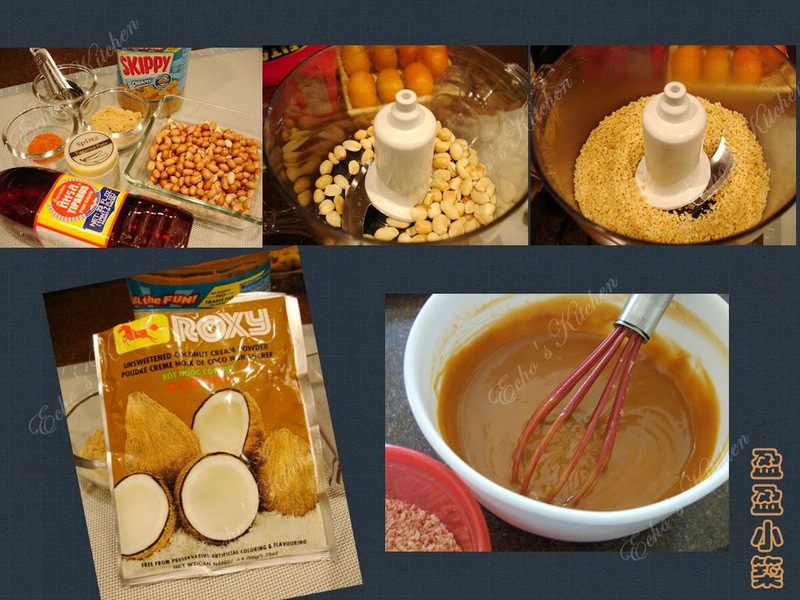 Chopped roasted peanut coarsely. Set aside. 2. In a saucepan or a microwavable bowl, blend together all other ingredients, use a whisk to keep stirring while heating up slowly, when the sauce thickened slightly, it is done. To make it in microwave, heat it up for 30 seconds at high, take out and stir, heat up for another 30 seconds, stir again. DONE. 3. 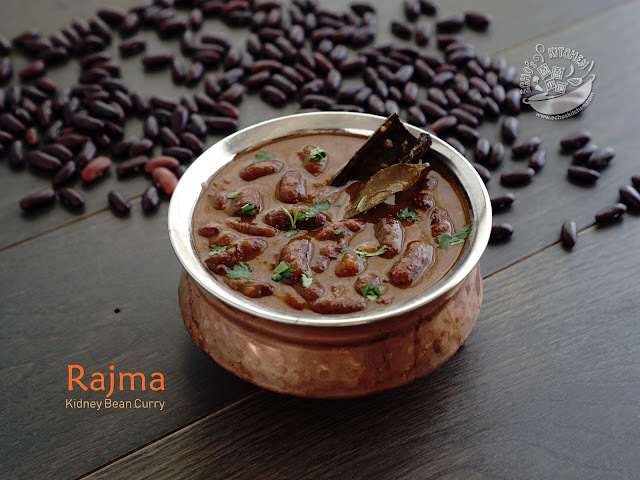 Serve with chopped roasted peanuts.